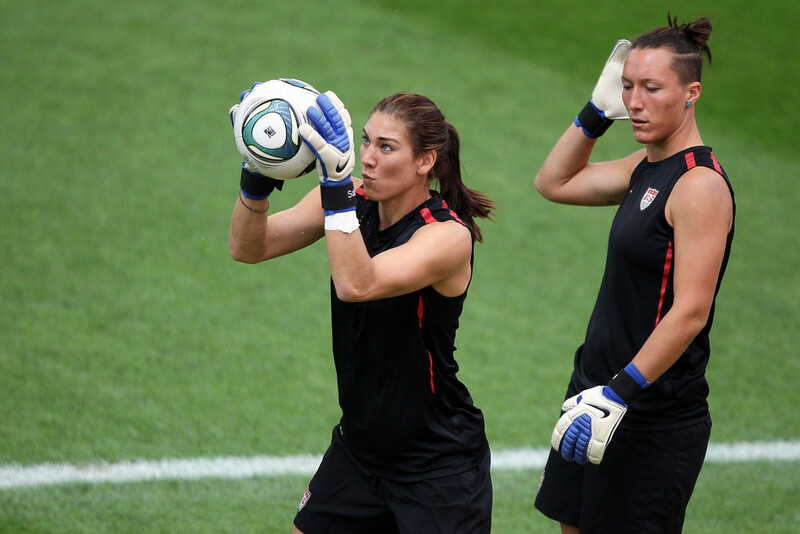 It’s been fourteen years since Hope Solo burst onto the international scene. 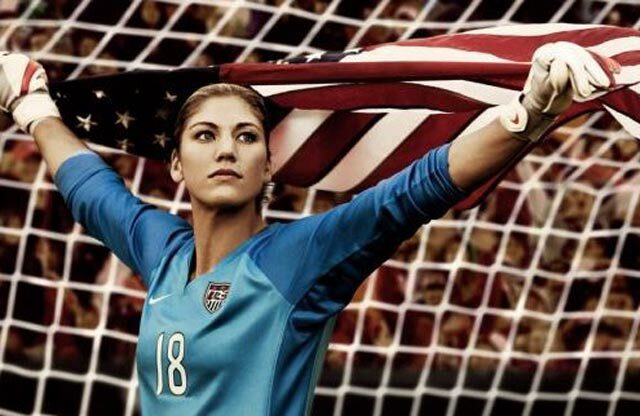 The US goalkeeper has had to battle her entire career against a system designed for men but has done so with conviction and courage which over time made her one of the most iconic women’s players in the game today. But now Solo faces up to a different sort of challenge as she tackles a domestic abuse charge laid against her for an alleged assault on two family members. Solo is currently under investigation for an alleged domestic assault on her 17 year old nephew and her half sister back in June of this year. Whilst it is unknown why Solo is thought to have lashed out at family members, court released documents suggest that excessive alcohol could have played a part and that according to her nephew, Solo has a history of anger related issues and has been estranged from the family for some time. Solo has proclaimed that she is innocent of all charges as the case continues. Controversially however Solo has now been selected for the US Women’s team for the forthcoming 2014 CONCACAF Women’s Championship (which will decide who qualifies for the Women’s World Cup in Canada next year) in a move that has sparked outrage on social media. Many believe that Solo’s selection by US Soccer and women’s head coach Jill Ellis sends out the wrong message about zero tolerance to domestic abuse and that the organization should learn from the mistakes made by the NFL in recent months in the way it has handled similar issues. Solo has remained tight lipped on the allegations as legal proceeding take place but former teammate Jillian Loyden has decided that she cannot do the same and has penned a piece for the US Today newspaper blasting the call up. Her objection comes from experiencing the effects of domestic abuse first hand after her sister was brutally murdered in 2012 by her then fiancé. Now a strong advocate for tackling domestic abuse head on, she believes the call up of Solo and the subsequent praise by US Soccer of the call up brushes the allegations made against Solo under the carpet instead of facing up to them. Whilst she agrees that Solo is innocent until proven guilty in a court of law, she feels strongly that Solo should not represent her country at this time until this case is resolved one way or another. She argues that Solo is viewed by many as a role model so by rewarding the 33 year old with a cap call only months after the charges were filed sends out the wrong message. As yet US Soccer has not reacted to the backlash but is expected to do so shortly. The opinions are limited in what they can do – either backs the player which could spark further uproar or remove Solo from the squad in what will be seen anyway as too little too late. Either way, US Soccer loses but it has no one else to blame but itself. Given the previously mentioned dramas at the NFL in recent months, how US Soccer fell into the same trap is amazing. United States Soccer Federation (USSF) President Sunil Gulati insists that the organization takes the issue of domestic violence very seriously but failed to act when Ellis made her initial team selection telling the media that Solo would remain part of the squad as the legal process unfolded. Ellis must too share some of the blame for the continued selection of Solo and is being urged by many to think more about the message this selection sends rather than the forthcoming CONCACAF Women’s Championship next week. With a place at next year’s World Cup at stake, Ellis will be wishing that this problem resolves itself and that she can continue to select her all star goalkeeper but unfortunately that will not happen. Action is needed one way or another by the USSF in an attempt to appease those on social media calling for Solo’s removal. With the negativity of her selection increasing day by day, It may be that Solo needs to come forward and remove herself from the equation by announcing her intentions not to play until the case is finally heard. But as the player chases more caps, that too is unlikely to happen.